For most organisations life is spent to the ‘left of the bang’. 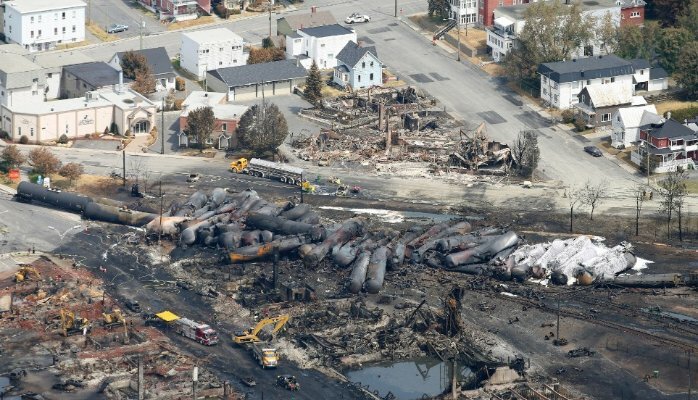 By that I mean that routine operations are conducted in a state where an unexpected event has not occurred, carefully constructed contingency plans do not have to be implemented nor, thankfully, is time routinely devoted to counting the cost of an incident in terms of damage to people, plant or the environment. To stay there organisations put a considerable amount of effort into risk management processes and systems of which the Bowtie model, from which I have taken the ‘left of the bang’ analogy, is one of the most prevalent and comprehensive. 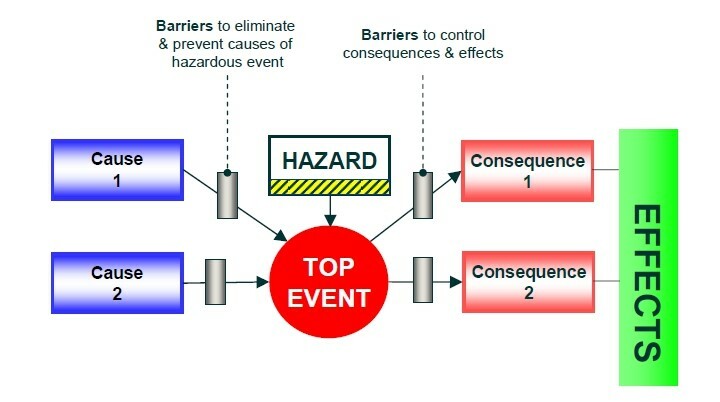 Carried out effectively it, or any risk management model, should address the majority of risks that could arise – and in particular tries to produce barriers that prevent accidents rather than just deal with their aftermath. If it is the case that the risk models themselves are sound then we are right to ask why there are so many major (and minor) incidents that damage people, plant and property – and of course business performance. At Coode Associates we argue that risk management models (and I am only dealing here with safety, though it holds true for every other kind of risk) – are often insufficiently developed in thinking and execution. A Flaw in the Model? Almost every incident investigation seems to find that at the root cause there was ‘a culture of’ (take your pick from) – profit before safety; ignoring warning signals; failing to report/speak up; time pressure; lack of maintenance and so on. All of these come from either conscious or unconscious human behaviour and this subjective analysis is backed up by the research which suggests that over 80% of incidents are caused by human error – with only 20% the result of equipment failure. The surprising aspect about safety-related incidents is the superficial appearance that those who are most directly affected by them (through injury) seem to be those who actually cause them. Deeper inquiry however reveals that this counter-intuitive assessment (the equivalent of turkeys voting for Christmas) is wrong. It is generally accepted that, of the incidents caused by human error, only 30% are the result of an individual mistake, with the remaining 70% the result of organisational weaknesses. There is a further distinction that can be made between those individual mistakes caused unintentionally (I made a genuine mistake) and those due to a violation (I consciously broke the rules). It would seem that the individual on the front line may not be the root cause of safety-related incidents – just the person who pays the most direct price. The flaw in many risk management models seems to be a belief that by layering on processes and procedures it is possible to remove the human from the system entirely. In practice what can be created is a culture of box-ticking compliance or, worse still, rules of such complexity that they are ignored or subverted, with the entire safety regime becoming a thing of disdain. It also has the effect of reducing people’s sense of personal responsibility. An alternative approach is to think that the solution to this problem would be to concentrate exclusively on the front-line workers and their immediate supervisors. This has certainly been the thrust of many recent safety initiatives – particularly ‘Safety Culture’ programmes that aim to drive behavioural change at the front line. The assumption seems to be that the front-line is where mistakes happen and so will be where the solution lies. Again it would appear that Safety Culture programmes aimed exclusively at the front-line to change their ways and habits of thinking are at best only a partial solution to the problem. Any risk model that only pays attention to external factors (processes etc) is as likely to fail as one that ignores process and deals only with the internal factors (mindsets, habits and behaviour) at the front line. The Coode view, which draws on our experience in working with organisations implementing strategic change programmes, is that, critically, there must be alignment between the two. By this we mean that the external, tangible elements and the internal factors need to be working together to a common goal – with every role in an organisation recognizing their accountability for them. There are any number of companies that use slogans such as ‘Safety is Our Number 1 Priority’ or have Safety as one of their values but it is often difficult to see how this shows up in the everyday life of everyone in the organisation. Nowhere is the demonstration of an aligned approach more important than at the level of senior leadership. For this is the level which casts the longest ‘shadow’ over the organisation and sets the tone for safety. Safety research has shown that leadership constitutes the strongest factor affecting organisational safety performance. It is all very well having fantastic training programmes and lots of posters on the walls exhorting zero accidents but if senior leadership demonstrate by their behaviours and actions that safety is not important to them (e.g. by failing to invest in maintenance, not taking action on safety violations or simply delegating everything to the Head of HSSE) then such campaigns are devalued and will ultimately fail. Safety no longer becomes exclusively an Operations or HSSE problem but HR (recruitment, reward), the CFO (investment decisions), Commercial (schedules, supply chain management); project management (time/quality) all impact on safe outcomes. In taking a broad approach to safety and shared responsibility for it, the processes, procedures and initiatives that come from the various functions of a company will become aligned and the impact felt at the front line – giving backing and bite to the initiatives that exist there. Getting senior leadership aligned and then, crucially, acting consistently in a way that promotes safety on a sustainable basis may not be as easy as it sounds and takes time. At Coode our work on cultural transformation suggests that a process of engagement lasting at least nine months is required to make significant change – with longer to make sure it is sustained. We would argue that the CEO should be right at the centre of ‘this’ anyway – and not just because safety is one of their legal and moral responsibilities. Rather it is because the mindsets and behaviours that are present in high-performing organisations are the same as those that are present in those that operate safety and effectively in high-hazard environments. The CEO might also be less concerned if he or she was aware of the correlation between a strong safety culture and high performing or high reliability teams and organisations. Clearly major disasters such as Deepwater Horizon have a massive and obvious financial impact but a continual stream of smaller incidents are a pretty good indicator that business performance and quality are also likely to be weak. What then should be done to improve the approach to risk? 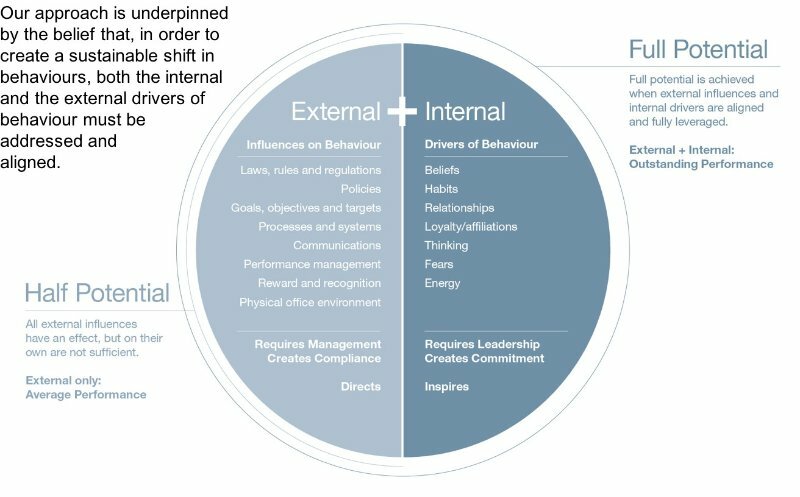 The most important aspect seems to be to make sure that the it is balanced and pays attention to both the external and internal factors that impact team and organisational performance. Most organisations have a well-developed set of the external attributes, processes and procedures and concentrating on them exclusively will not reap dividends. It would also seem that the front-line workers have a pretty good sense of the risks that they take in high-hazard operations (no matter how habituated to them they become). The greatest benefit (and this needs to be replicated in how we manage risk) is then to align the way senior leadership teams think about safety – and recognize how their mindsets, actions and behaviours impact it. When this is achieved it will not only help organizations to stay to the left of the bang, but improve business results. Hale, A. R. & Glendon, A. I., Individual behaviour in the control of danger. Elsevier, Amsterdam, 1987. The Rt Hon. The Lord Cullen, Report of The Public Inquiry into the Piper Alpha Disaster 1990.